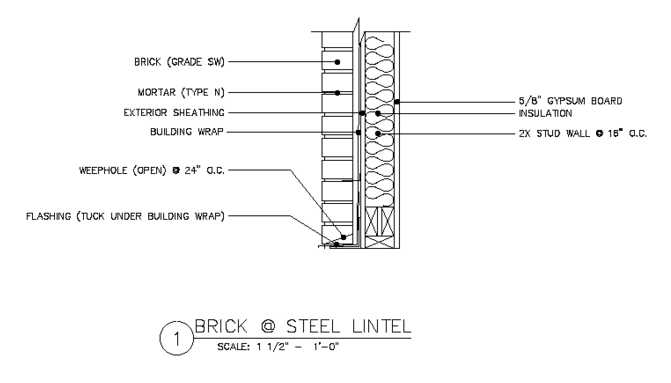 The first of our exterior finish material blogs, we wanted to start with the brick. 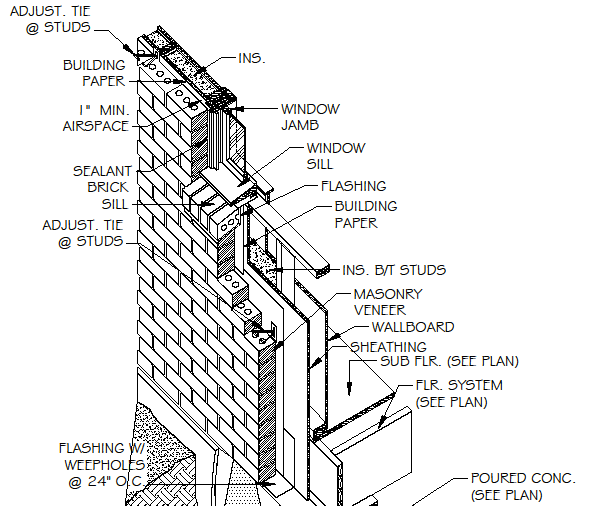 We use it often on our residential and commercial projects. It is widely used today because of its timeless look, durable and low maintenance finish. 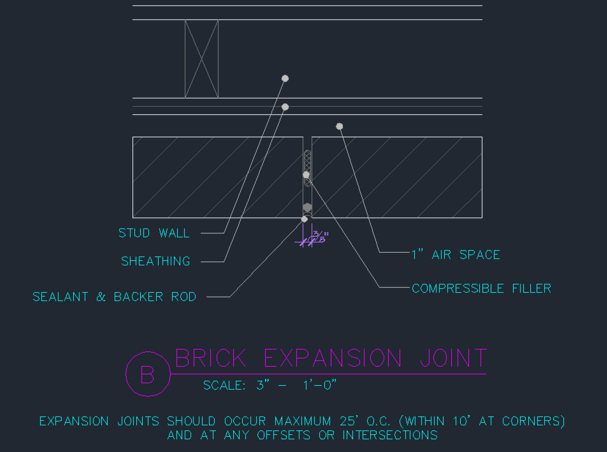 Today we set out to answer some questions about brick and give you useful details for your next project. 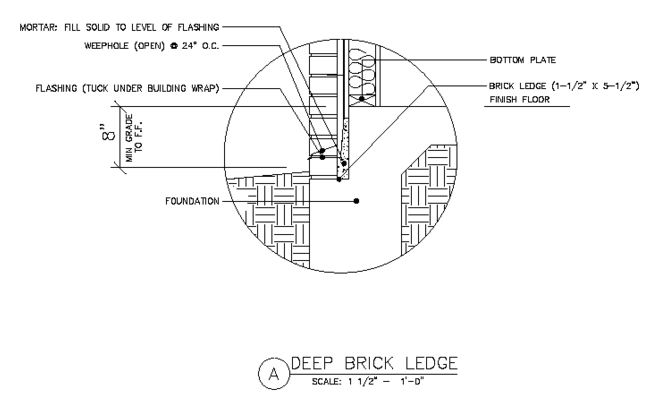 We use brick today almost exclusively in the US as a veneer system. 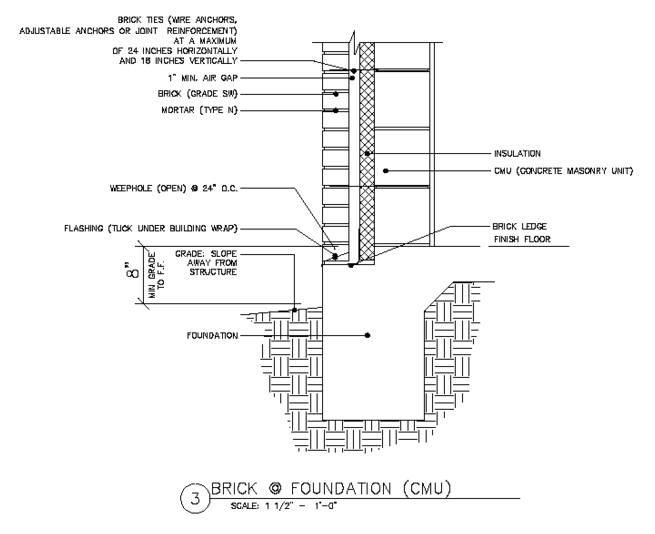 So the brick is not structural, only used as a cover or finish material. 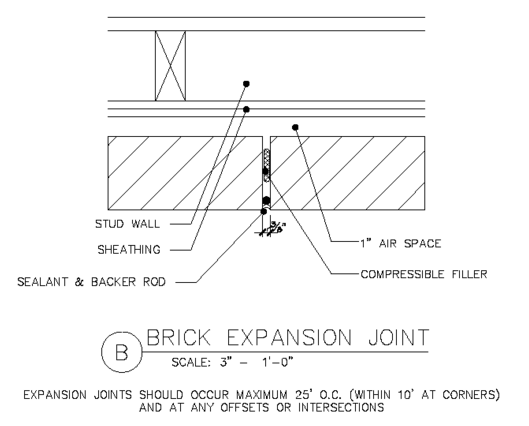 The brick veneer is attached back to the structural wall. 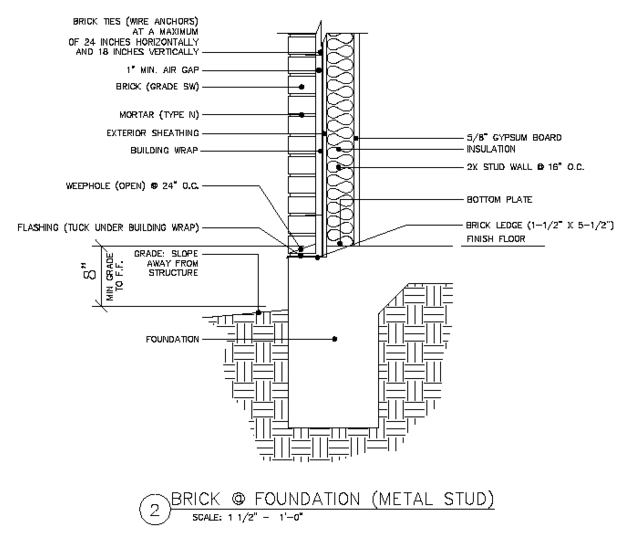 This wall can be a wood stud wall, metal stud wall, CMU wall or concrete wall. 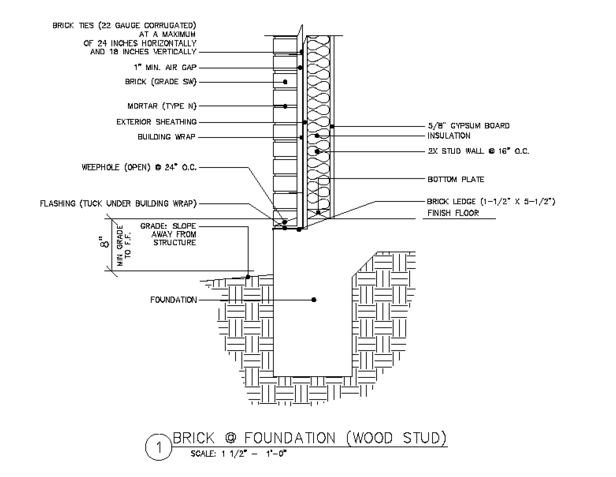 The details and information below are for a veneer brick assembly. 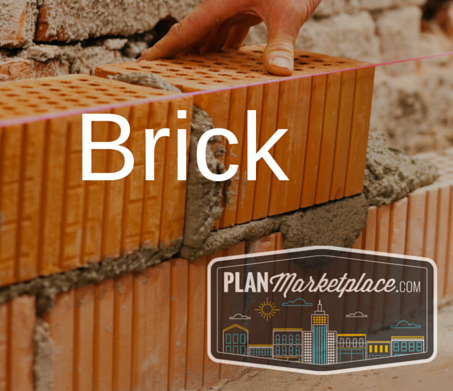 Read on for a link to our free set of Brick details! Need this detail? Get it (and all the others) Free! 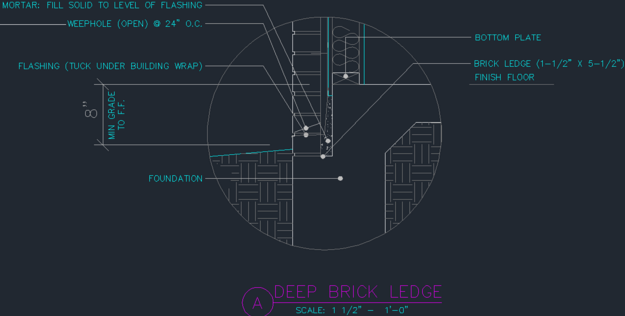 Interested in brick details? Click on any of the details above to download them for free! We’re working hard to grow our library of details to comprehensively cover a wide range of industries or niches. We’d love you to buy and sell YOUR details on planmarketplace.com, why not become a member today?